This is an excerpt appearing on The World of PKU website that is an updated summary of the book, ?Robert Guthrie — the PKU Story: A Crusade Against Mental Retardation? (Hope Publishing House, 1997) by Jean Holt Koch. A labor of love, Jean Koch turned hundreds of pages of my father?s transcribed stories and memories into a very personable account of the early days of newborn screening. Our family is forever indebted to her. When PKU was first described as a medical disorder by Dr. Asbjorn Folling in 1934, no one could have realized the impact his discovery would have in the field of medicine. Among those whose lives would never be the same was an 18 year-old high school student in Minneapolis, Minnesota named Robert Guthrie. That young man was to become known throughout the world as the larger-than-life person who developed the first practical newborn screening test for PKU and who devoted his professional career to the prevention of mental retardation.? Bob Guthrie would soon graduate from high school but he had to forego his ambition to study at the university.? He did not have the money or the required grade point average for admission. Robert Guthrie was born in 1916 in a small town in the Ozark Mountains of Missouri.? He grew up during depression years and his father held a variety of jobs to keep the family fed and clothed.? 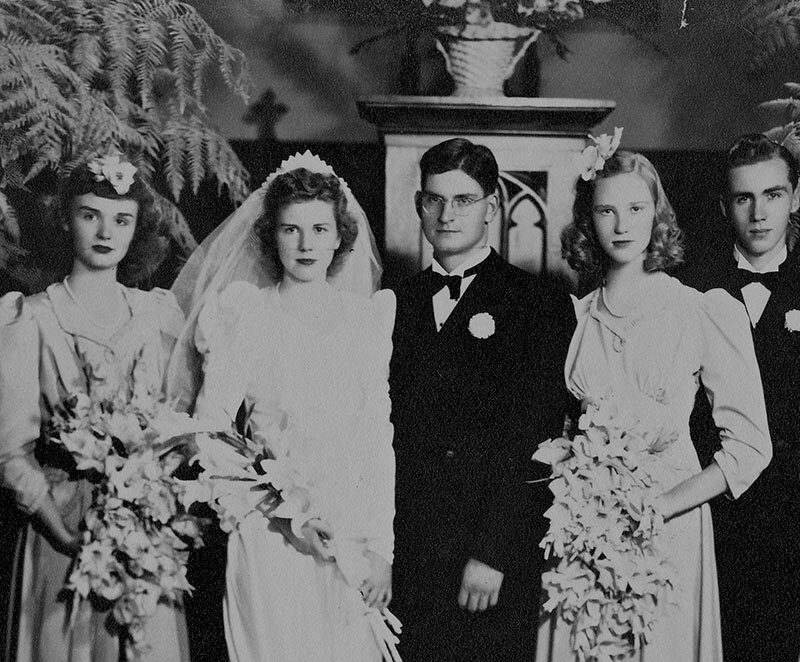 The Guthrie family moved often, but finally settled in Minneapolis, where Bob spent his school years. Although he had an active social life in school, taking part in plays and assemblies, Bob was not an outstanding student. He did well in the subjects he liked but he did not study for his other classes.? While he found time to tutor other students in mathematics, he almost failed German.? He graduated from high school at the top of the lower third of his class of 400 students. At this point Bob began to realize the value of study habits.? Since he did not qualify for admission to the university and since his father would not have been able to pay the tuition even if he had qualified, Bob went back to high school as a post-graduate student.? He took a solid curriculum of algebra, trigonometry and solid geometry, shorthand and typing.? He also enrolled in a chemistry class at night school.? He got good grades and was admitted to the university the following spring.? This put a financial strain on the family but Bob enrolled in the National Youth Administration (NYA) a program begun during the depression, in which college students could work for faculty members and earn a small salary.? His parents lived near enough to the university that he was able to live at home and ride his bicycle to school.? He also got a job in a cafeteria where he was allowed 88 cents worth of food every day.? Later he moved closer to school when he entered into a unique arrangement with the mother of one of his friends, who ran a rooming house for students.? For 75 cents a week he rented space on a stair landing where he put an army cot. Bob had trouble deciding on a major.? He toyed with the idea of becoming a chemical engineer or a writer or perhaps an astronomer.? During his senior year, he made his decision when he worked in the department of bacteriology and immunology under the NYA.? One of his mentors, who had earned both an M.D. and a Ph.D. degree, suggested that Bob apply for medical school.? Although he still wasn’t sure he wanted to become a doctor, Bob applied for admission to one medical school – The University of Minnesota, and to his surprise, he was accepted in 1939. This was a decision he later regretted.? It took less than a year for him to realize that he didn’t like medical school.? He especially disliked anatomy and often cut class in order to attend lectures in quantum mechanics.? As a consequence, he had to repeat anatomy in the summer when the lab was especially hot and smelly.? Bob had a part-time job working for a professor of microbiology caring for the laboratory animals and the professor, knowing Bob was unhappy with medical school, helped him get a position as a graduate assistant in the department of bacteriology and biochemistry at the University of Maine. Bob was much happier working toward his master’s degree in bacteriology and felt he had found his niche.? The following Christmas he presented his special lady, Margaret Flagstad with a sealed can from the Industrial Microbiology office at the University of Maine.? Inside was an engagement ring, purchased with an entire month’s salary.? And in the fall, Bob and Margaret were married and she joined him in Maine.? At the end of two years Bob consulted a number of professionals about his career.? They all urged him to return to medical school. Although Bob still had the dream of earning a Ph.D. in bacteriology, he and Margaret returned to Minneapolis and he went back to medical school.? But Bob had a secret.? While he was attending medical school, he also took classes in graduate school. The University of Minnesota did not grant an M.D. degree until the student had completed one extra year of study on an advanced degree.? Bob spent that extra year working toward his Ph.D.? In the end, Bob Guthrie earned six degrees in six years – an amazing achievement.? After his second year in medical school he was able to get a bachelor’s degree in science for $5.00.? He already had his B.A. and M.A. When he graduated from medical school he earned a bachelor of medicine.? After a year working toward his Ph.D. he earned an M.D. and in 1946 he added the Ph.D.? “It was pretty crazy,” he said, “but that’s just the way it worked out.” Bob never intended to practice medicine, although he did take the licensing examinations mainly to satisfy his father, who could not understand why anyone would go to medical school if he did not plan to practice medicine.? Bob always considered his Ph.D. degree more important than his M.D., although he later had to admit that he could never have accomplished all that he did without the medical degree. Bob began his professional career as a research microbiologist at the National Institutes of Health (NIH) in Bethesda, Maryland and he was gratified that he earned an extra bonus each month because he had an M.D. degree in addition to a Ph.D.? He and Margaret needed the extra money, as they had started their family, which grew rapidly.? But Bob’s tenure at the NIH was short-lived.? He quickly found that his boss had no interest in his research project on the protozoan (Trichomonas foetus).? Finally Bob became so frustrated he notified the head of the department that he was going into biochemical genetics and he poured his cultures of protozoa down the sink.? After that his checkered career took him from the University of Kansas as chairman of the department of bacteriology, to the Public Health Service at Staten Island Public Health Hospital supervising the diagnostic bacteriology laboratory, to the Sloan Kettering Institute in Manhattan where he researched the development of better chemotherapeutic agents to treat cancer.? There was no way Bob could have known that his decision to go into biochemical genetic research would eventually lead him to “human” biochemical genetics and although his research at the Sloan Kettering Institute did not lead to a cure for leukemia, as he had hoped, these events laid the groundwork for his development of the newborn screening test for PKU. Eventually the Guthries settled in Williamsville in upstate New York where Bob continued his work of identifying drugs for the treatment of childhood leukemia at Roswell Park in Buffalo.? The family had grown rapidly and their sixth child and last child was born there.? Bob and Margaret became active in the Erie County Chapter of the National Association for Retarded Children (NARC) because their second son, John, had never developed normally. John Guthrie was to play an important role in Bob’s career.? If it had not been for John, Bob might never have become interested in mental retardation or wielded such worldwide influence on behalf of people with mental disabilities. Bob and Margaret had searched high and low for help, visiting many specialists.? John underwent many tests but a diagnosis was never made.? At one point the Guthries were advised to consider placing him in an institution.? Instead Bob and Margaret accepted the fact that Johnny would never develop normally and they decided to keep him at home where they enrolled him in day programs and eventually in special education classes at school.? As an adult Johnny lived in a group home nearby and attended a sheltered workshop. 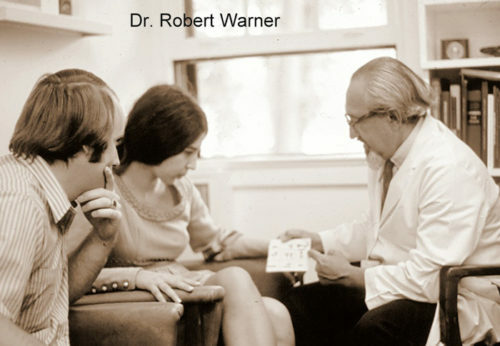 During his tenure as vice president of the Erie County NARC in 1957, Bob met Dr. Robert Warner, director of the Children’s Rehabilitation Center, a diagnostic and evaluation center for persons with mental retardation.? And Dr. Warner introduced him to PKU.? Dr. Warner explained to Bob that a special phenylalanine restricted diet helped children with PKU but he had a problem monitoring the blood phenylalanine levels in his patients because he had to send 15-20 cc of venous blood to a firm in California each time he tested a patient.? He proposed that Bob devise a simpler method of measuring blood phenylalanine.? This was the beginning of Bob’s phenomenal research in developing tests for inborn errors of metabolism.? Bob immodestly told Dr. Warner that he would “…work with bugs to find a cure for mental retardation,” a rather surprising statement for a humble, soft-apoken man.? In three days he reported to Dr. Warner that he could do the test using three to five drops of capillary blood from a finger prick.? The procedure seemed simple to Bob.? He had already been using a method of putting filter paper discs on agar surfaces and screening for certain compounds.? His technique utilized bacterial metabolism.? For testing phenylalanine, he used a spot of blood on a filter paper disc that he put on the surface of an agar culture gel, which contained a specific substance to inhibit the growth of bacteria, but which was reversed by phenylalanine.? If excess phenylalanine was present in the blood, it removed the growth inhibition and bacteria grew. After overnight incubation he could examine the sample and compare the diameter of the growth zone around it with that of a “control” disc of blood to which he had added known quantities of phenylalanine.? The agar remained clear except for circles of growth surrounding the discs that contained phenylalanine.? He had developed a simple method of monitoring blood phenylalanine that involved only a few drops of blood.? The principle was identical to that of the bacterial assays he had used for cancer patients.? He called the technique “bacterial inhibition assay”. In 1958 Bob was asked to join the pediatrics department at the Children’s Hospital in Buffalo where he continued his research to develop similar tests for other metabolic disorders that caused mental retardation.? He was not really interested in PKU per se, except as a model.? Then in 1961 that all changed and he was drawn back to PKU.? He learned that his wife’s sister’s baby had been diagnosed with PKU at the age of 15 months.? The diagnosis had been made with the rather unreliable urine test then in use.? Bob tested her with his inhibition assay and found that she did, indeed, have PKU.? Unfortunately Bob’s niece was already brain damaged.? But with this impetus, Bob renewed his interest in PKU.? He felt strongly that all newborn infants should be tested.? It was clear that the sooner the diagnosis was made and treatment begun, the better the prognosis for normal intellectual growth.? It was at this point that he sought ways to simplify his test.? His first attempt proved to be more successful than he could have hoped.? He found that he could blot a piece of filter paper directly on a small heel puncture wound, dry the blood sample and then punch out a small disc from the blood spot and proceed as usual with the rest of the test.? He could hardly believe his good luck. In 1961 the NARC, which always selected a poster child for its publication, selected instead, two poster children – two sisters who had PKU.? The older sister, Sheila, had been diagnosed late and was retarded but the younger sister, Kammy, had been diagnosed by the Guthrie test as a newborn and treated.? Of course she was normal and bright.? The inscription below said, “There is hope for the mentally retarded.”? The momentum for newborn screening for PKU had begun.? That fall the NARC held a press conference at its annual meeting in San Francisco to publicize the Guthrie test.? A reporter from Life Magazine interviewed Bob and photos were taken of him in his lab.? The article appeared in the January 1962 issue. In order to put his technique to a test, Bob got permission to test some 3,000 residents of a state school for the retarded near Rochester.? The administrators at the school maintained that all of their residents had been tested with the ferric chloride urine test, however Bob found 23 cases of PKU, four more than had been diagnosed by urine testing.? By the fall of 1961 Bob was convinced that all infants should be tested before they left the hospital and his determination was almost unstoppable. Ultimately The Children’s Bureau funded a trial of the test with 400,000 infants.? Bob rented a house near the Buffalo Children’s Hospital, which became the PKU Cottage.? Test kits were assembled for laboratories in the 29 states that agreed to be included in the test.? Since this preparation required collating and packaging, Bob suggested that this work be done at a sheltered workshop for adults with mental disabilities.? A label from the NARC was put on each kit with the message, “Retarded children can be helped.”? And technicians from each of the 29 states came to Buffalo for training.? Within two years, 400,000 infants were tested and 39 cases of PKU were diagnosed – an incidence of about one per 10,000.? Massachusetts was the first state to mandate newborn screening for PKU and Bob was quickly in demand as a speaker at parents’ groups.? Although parents were pressuring their legislators to mandate newborn screening, Bob encountered opposition from the medical profession and he had difficulty getting an article on the test accepted for publication in a medical journal.? This resistance was like a challenge to Bob, who accepted every opportunity to speak at meetings about the need for screening.? He travelled the length and breadth of the United States, as well as overseas, always emphasizing the simplicity of the test.? By 1966 newborn screening was mandatory in most states.? And Bob was busy in his laboratory developing tests for other disorders that could be treated to prevent mental retardation.? Eventually he and his laboratory personnel developed tests for more than 30 different treatable conditions that cause mental retardation or death. Bob’s interests were not limited to the field of PKU.? Years before most members of the medical profession became concerned about lead poisoning, Bob Guthrie was aware and was waging a battle to educate his colleagues and the public about this insidious peril.? And Bob was a crusader for other causes.? He worked to improve race relations.? He campaigned for improvements in the public schools in his community.? He was a member of Physicians for Social Responsibility, a respected organization of doctors who know the dreadful consequences of nuclear war and actively oppose nuclear weapons testing. Phenomenal advances were made in the diagnosis and treatment of PKU after the Guthrie test was developed. Bob was enthusiastic about the technique of mutation analysis, developed by Dr. Savio Woo in 1984.? The technique of Tandem Mass Spectroscopy, developed by Drs. David Millington, Charles Roe and Donald Chance was in its infancy as the latest advancement in newborn screening during the early 1990s.? 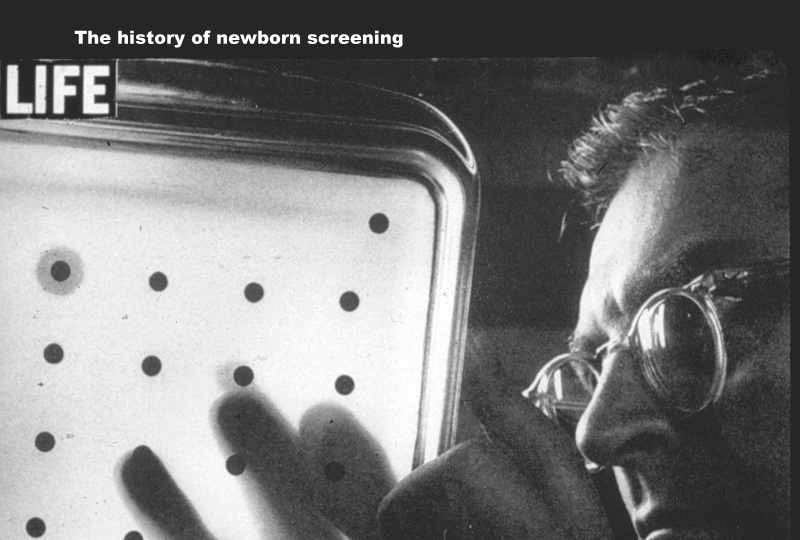 Unfortunately Bob Guthrie died in 1995, too early to see the changes this technology would bring to newborn screening.? He would have welcomed this technique, even though it made the Guthrie test obsolete in most developed countries.? Robert Guthrie was the pioneer whose unrelenting dedication to preventing mental retardation saved thousands of individuals from a lifetime in institutions for the retarded.? He must never be forgotten. 1.Guthrie, R. and A. Susi (1963). “A Simple Phenylalanine Method For Detecting Phenylketonuria In Large Populations Of Newborn Infants.” Pediatrics 32: 338-43. 2.Guthrie, R. (1969). “Screening for phenylketonuria.” Triangle 9(3): 104-9.